With TM as PM, it wouldn’t surprise me if it ended up like that, but that’s not what people voted for. If the fight has to go on, then so be it. People voted for all sorts of different leave outcomes. Some for a clean break on everything, some thinking the Norway model might be an option. And a lot more for reasons that ultimately have little to do with the EU. What leaving meant wasn't defined and therein lies the problem. Fight away though, that's democracy in action. As is people campaigning to stay in. No idea who this guy is but a quick look on his Twitter indicates he’s so biased towards remain it’s not even funny. Unless it’s from someone who’s giving a fair assessment then there’s no point in taking any notice of this crap. He’d fit in well on this forum with all his reliable sources. The trouble with trying too hard to be objective or balanced, is that you end up giving equal weight to those who think smoking isn't harmful or think climate change isn't real. You can almost bet your bottom dollar that cheap american meat will be on the table when negotiating with the US. Bad for our farmers and no doubt bad for animal welfare standards in our country. I'm sorry my Polish friend slept with your wife. Obviously Schengen is off the cards, so we effectively trade European Union membership for EFTA in a bid to minimize damage to our economy. Mark Carney, Governor of the Bank of England, reveals today (22) that households are already £900 worse off than forecast. Brexit is already costing every person in this country hundreds of pounds in lower income, and we haven’t even left yet. There’s more work out there now, than there’s been in a long time. This is not a forecast, it has happened, but that won't mean anything to Brextemists. He's discredited in their eyes as he was seen as scaremongering & project fear with making claims like households would lose £4300 over 15 years if we left the EU. Seems as though his claims may have been on the conservative side as we haven't even left yet. Brexit is making this country a joke and an international irrelevance. We’re still in the EU didn’t you know? You talk as if we’ve already left and that the country was flourishing before the vote. Mark Carney is a fraud when it comes to brexit. Yet another bitter remainer. I’m shocked. It’s not like Mark Carney to be negative about Brexit. "seems as though his claims may have been on the conservative side as we haven't even left yet. " Worth noting that capitalism relies on the common belief that tomorrows economy will be better than today's. If there's doubt in the future strength of the economy, then money dries up. This has happened, its not a prediction. Governments solution to hard brexit. Turn the M20 into a giant Lorry park. Vote for this did you? Great for traffic cone manufacturers i guess. Relatively it was flourishing. Economically we were performing better than the rest of the G7 countries and growing faster than an other EU State. Then within a year of the referendum we've slumped to the bottom of G7 growth charts and growth is below the EU average. Brexit-related exchange rate shocks, loss of confidence, and uncertainty are all widely reported as being major factors. It's impossible to deny. So the Brexiteer position on this has to be the long game, that there's some hope that when we eventually get clarity there'll be something in the future plans that will improve our prospects. We just don't know what that is yet, but it needs to be more than meaningless slogans and insults. This is great news, when are you moving ? No need for me to leave, i don't think my job will be affected by Brexit and the drying up of European talent will only boost my employment credentials. But i live and work in London and we'll be the most insulated to the harm caused by Brexit. But i am looking into the possibility of dual citizenship with Poland if it means joining the fast track EU queue at the airport. Flourishing? That chart shows that during mid 2016 when the referendum was held out growth was steadily decreasing, and it’s pretty much stayed that way. It had been going that way since mid 2014. Japan, USA and Canada were the only ones starting to flourish in that period. 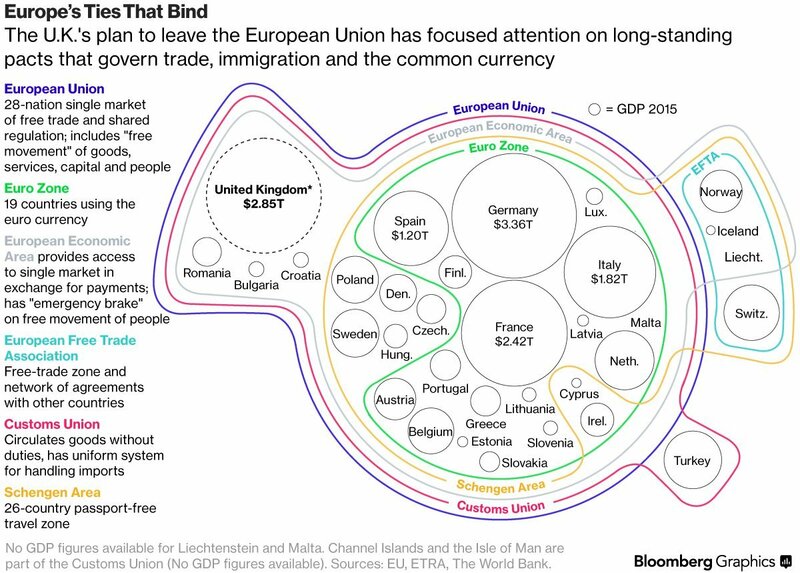 None of which are in the EU. If there wasn’t so much negativity and scaremongering going on from the remain side then we might have seen better growth up to now but it’s not gonna happen until they finally give in. Negativity and scaremongering is the reason for the poor growth performance? If only those awful remainers would just shut up everything would be rosy? I'm going to think positively about my lottery numbers this weekend. I think that's where I may have been going wrong so far. "It's pretty much stayed that way". Yes, whilst others have improved. That's why I said "relative". The economy is in relatively worse position on the global stage than it was was before the referendum.